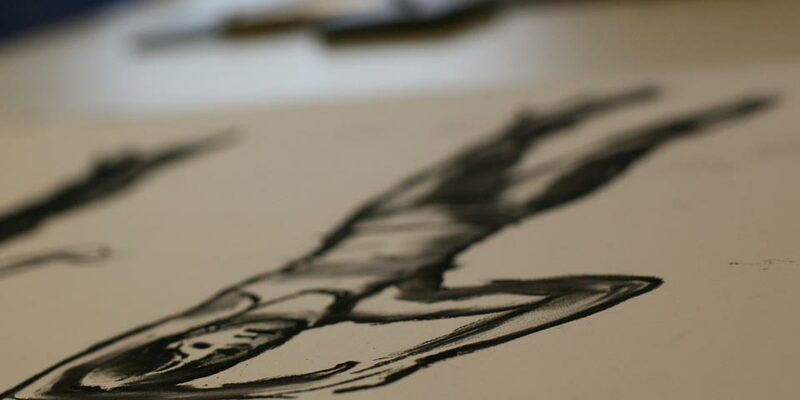 The Edgar A. Smith building offers flexible spaces for your event. 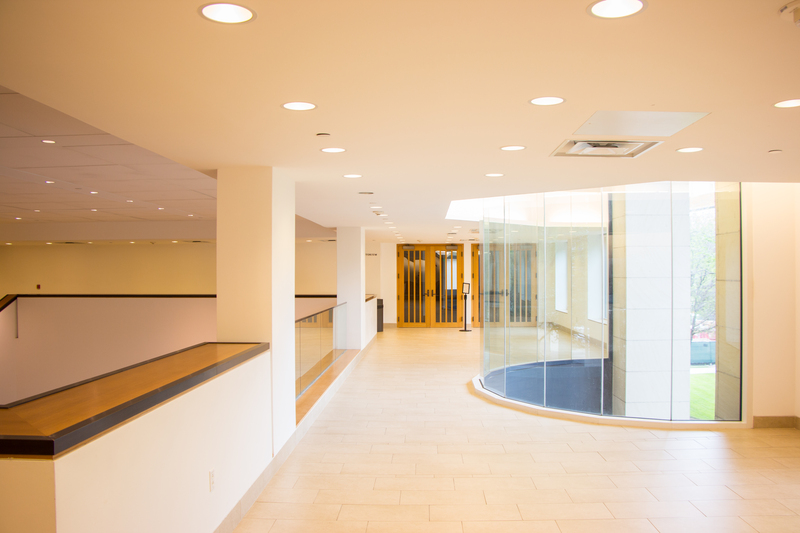 Located directly across from the Michener Gallery Building, the Edgar A. Smith building boasts a variety of spaces to support a wide range of events. From a fully equipped auditorium to smaller spaces for more private gatherings, discover a one-of-a-kind setting for your guests. No food or beverage is permitted inside the auditorium. The Blanton provides a list of approved caterers who have experience working with the museum. Our experienced Special Events staff can also recommend additional vendors to help you create an unforgettable event. The Long Grand Foyer in the Smith Building is ideally suited to private evening receptions up to 200 guests, or intimate seated dinners under 80. 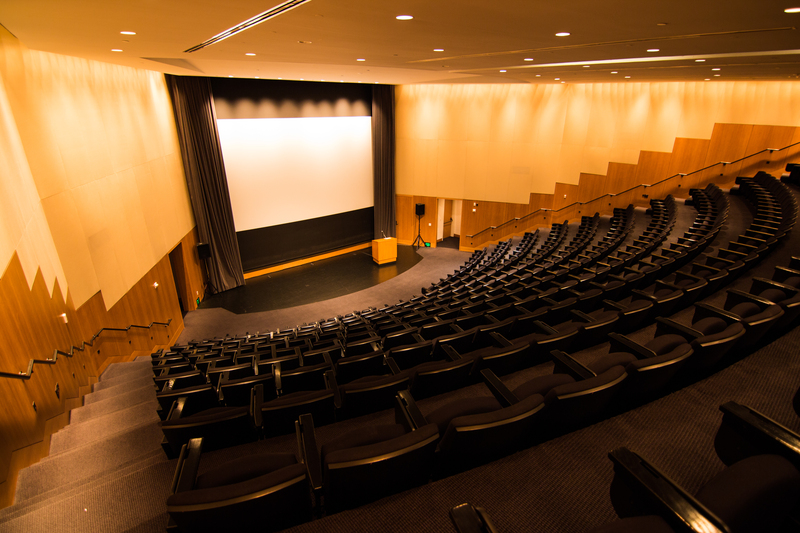 The Blanton Auditorium in the Smith Building may be privately rented for special speaker engagements, panel presentations, and film screenings. The auditorium comes equipped with A/V capabilities with digital projection, a large screen, and built in seats with tablet desks. The Capitol Room in the Smith Building features prominent views of the Texas State Capitol Building and is ideally suited as a conference room, lecture hall or private reception space. The room comes equipped with A/V capabilities, a projector, moveable chairs with tablet desks, a whiteboard and carpeted flooring. 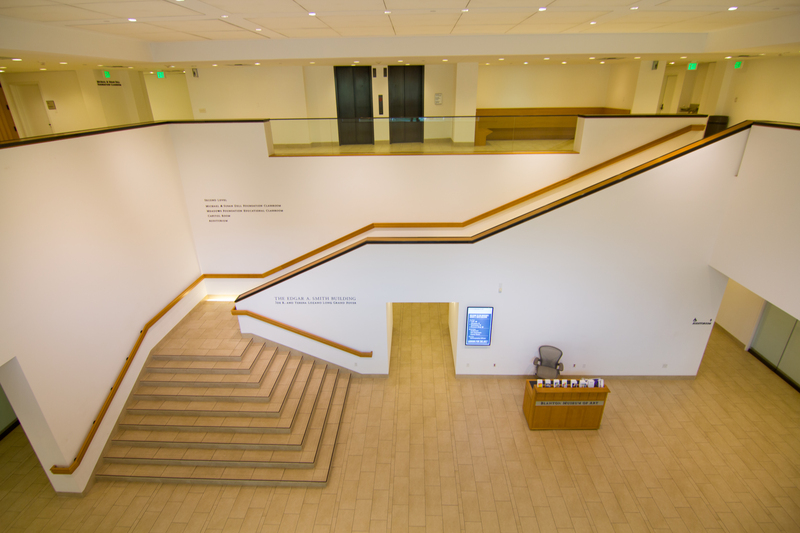 The Mezzanine in the Smith Building is ideal for use as a reception space in conjunction with an auditorium program. It features beautiful views of the Faulkner Plaza and the Michener Gallery Building. The Meadows Classroom in the Smith Building is suited for small group meetings, seminars, classes, or retreats during regular business hours. 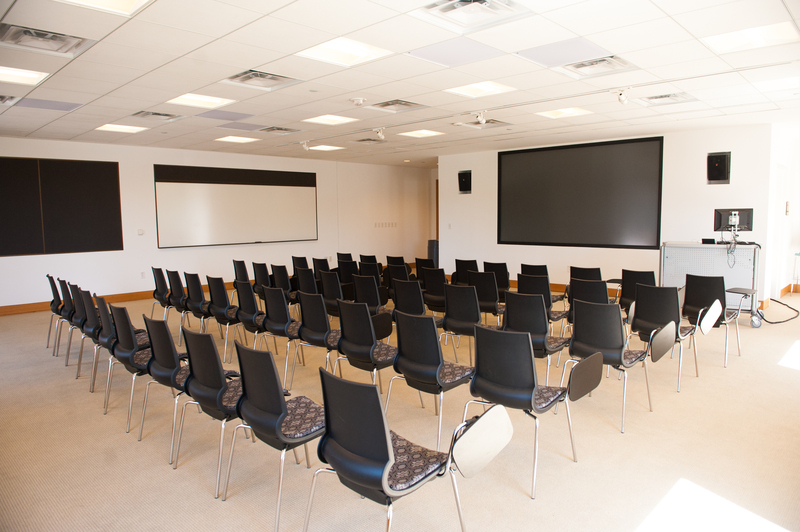 The room comes equipped with A/V capabilities, moveable tables and chairs, a whiteboard and vinyl flooring. The Meadows Classroom is available Monday through Friday between 9 AM and 5 PM only.